Have you ever seen someone link to or publish a Facebook posting that looks awesomely fun and interesting, but you haven’t got the time to look at it right now? My guess is that the answer to this question is a resounding Yes. So what happens? 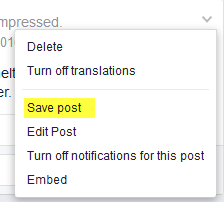 You close Facebook, it disappears from your news feed and you either forget about it, or only remember it if you see that someone has commented on it or liked it. There is however a very simple solution. 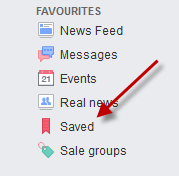 Facebook has a save function which makes it very easy to save a posting in a Saved list. You can then look at it later, without worrying about it disappearing on you. 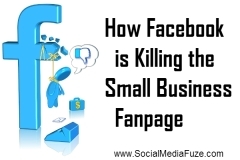 In the past 3-4 years more and more businesses have started their own Facebook pages. 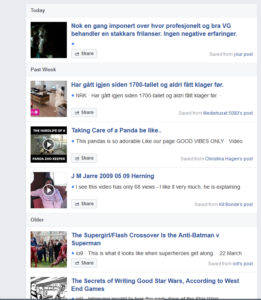 The problem is that most of these pages are only used for self promotion. Now, it’s only natural for a business wanting to promote itself, but if that’s all you do on your Facebook page, you will quickly find that less and less people are actually seeing your postings. A lot of people don’t know about this, and more than one person responsible for the Facebook page of their company are scratching their heads in bewilderment as they see the page hit decrease more and more.In fact, on average, only between 1% to 5% of the people who have liked your page will actually see your postings. In an attempt to counter this, a business very often decides to open a competition. This used to be a violation of Facebook’s rules, but since those rules never were enforced, Facebook gave up on them. The competition usually takes this form: “Please share and like this page/photo/posting and you will have a chance to win one of these ten baskets full of goodies.” And then people start sharing and liking. However, the effect is the complete opposite of what you think: The more you ask people to share and like something, the fewer people will actually see what you post on your page. Why this happens used to be a mystery, but now Facebook has lifted the veil and explained how this algorithm works. But it makes sense: If people’s news streams became filled with spam (because that’s what these share and like competitions are) people would stop using Facebook. And that would really be bad for business. In addition: People have several hundred “friends” on Facebook and like dozens of Facebook pages. The news stream would be impossible to follow if every single thing that was posted would appear there. That’s why Facebook does a filtering. Now, there are those who feel the users should have more control over this filtering, but that is another debate. So the next time you see a share and like competition, don’t share it. In addition to annoying other users with spamming (would you run around putting fliers in people’s mail boxes or tell them to go shopping at a this or that store every time you meet them?) you actually decrease traffic and visits for the organisation holding the competition. Instead you should tell the owners of the Facebook page that what they are doing is counter productive. I’ve been doing social media and business for almost fourteen years now, and several small businesses have asked me lately whether it’s worth it to put up a Facebook page. I tell them that it’s only worth it if the Facebook page will be monitored, and that instead of posting competitions or pure advertisements for their business, they should post and share stuff that people will find useful. If you run a photo store post tips about photography. Are you running a book store, post links to interviews with authors and reviews of books. Is your business selling sports equipment, post exercising tips. Are you running a toy store, post links to Lego creations or model train shows. I think you get the idea. And if you manage to get a debate going, where a lot of people participate, the chances of your postings appearing in most of your followers news stream are much bigger. Take the web page io9.com for example. They always get a good debate going in their postings, and I often participate or click on them. The result? Most of their postings end up in my stream. The same with Classic Rock Magazine’s Facebook page. On the other end of the scale is a local store who continue to post endless “share and like” postings. They never ever appear in my news stream. And the owner of the page complained to me last night that nobody visited her posts any more. I then told her why. Also: Let customers ask you questions and answer them, and give them good advice. The conclusion is that instead of promoting your business with share and like competitions and the sale of the week, you should give your followers useful and interesting content. And the next time you see such a competition, don’t share it, ok? A lot of people expect all their friends to see what they post, except those friends you have put in a group that should only see selected posts from you. The hard and cold truth is that surprisingly few of your friends see what you are posting. Nobody but Facebook knows quite how this is calculated, but it seems that the more you post, the fewer see your postings. And if people are not interacting with your posts, even fewer will see them. This is especially true if you have a Facebook page, for instance for your company or for your organisation. I’ll give you a good example. I’m administering the Facebook page for the local revue group I’m a part of. We have 536 followers. Just before Christmas I posted a status telling people that we were selling season tickets for the local football team. Do you know how many people who got that post in their news feed? 23 people! That’s twenty three out of 536 people! So why is this? It’s because Facebook wants you to pay them to promote your updates. Behind the statistics for each posting that I get to see because I’m and admin of the group, there is a button marked “Boost Post.” If I click on it, you’re told how to pay so that your posting will reach even more of your followers. Yup, you read that right. Facebook wants you to post and share so that they get as much traffic as possible. At the same time they make it as hard as possible for you to do so, and hide your posts behind some bizarre logic. And then they ask you to pay so that the posting will reach the people you really expect it to reach anyway. This is in complete contrast to how all other social media sites operate. On those sites they actually promote your postings for you, for free, if they reach a lot of people. If you post something on Twitter, every single one of your Twitter followers will be able to see it. When you post a photo on Instagram, all your followers can see what you had for lunch. On LinkedIn all my contacts can see my update. What LinkedIn counts is whether anyone clicked on that update. On Google+ all your postings show up in all the circles (you can group Google+ connections into circles) you choose (but nobody uses Google+ so I guess that point is mute). On Youtube, all your subscribers can see your video, and as long as a video isn’t marked private, everybody who wants to can search and find it. The same goes for your photos on flickr. On all these sites, your posting will be promoted on a front page (or in Twitter’s case as a trending post) if it gets a lot of hits. And that way your posting will reach even more people. 1) To see all your friends posts you can create your own News feed. A couple of years ago, in my old blog, I showed how to do that, and that recipe will still work. 2) Posts in the order they are posted can also be achieved, either by following my first tip, or by installing FB Purity. Please, please, do your self a favour and install FB Purity. 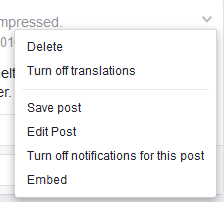 You can edit your newsfeed to your heart’s delight. Seriously. You will want to send me flowers or have my babies for giving you this tip! FB Purity doesn’t work on your cell phone, but if you go to Settings in your Facebook app, you should see a cog wheel (or similar) for editing your news feed settings. Here you can choose to show recent postings and get most postings in chronological order. 3) Get rid of “top stories.” See any of my tips in point 1 and 2. Have you installed FB Purity yet? No? Well go ahead! It’s the only thing that keeps me from leaving Facebook. 4) You can get rid of old postings at the top of your stream because of new comments on it by…. INSTALLING FB PURITY or create your own news feed. 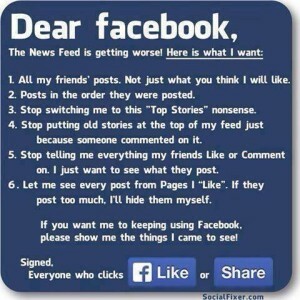 5) Want Facebook to stop telling you everything your friends do on Facebook? 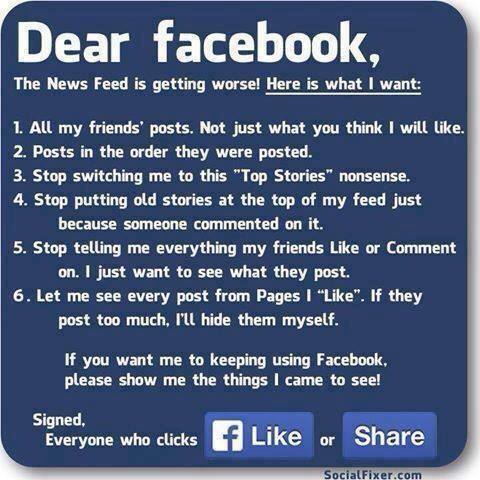 In this case creating your own news feed won’t work, but what will help is…. FB PURITY! 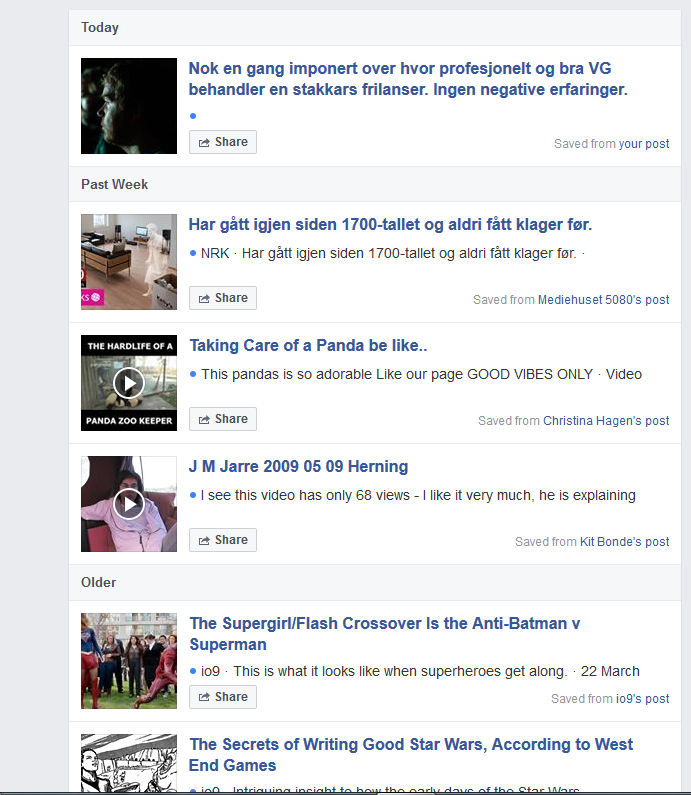 6) However, how to see all posts from pages you like I something I can’t help youwith . None of my above tips will help. If you got any tips, please share.